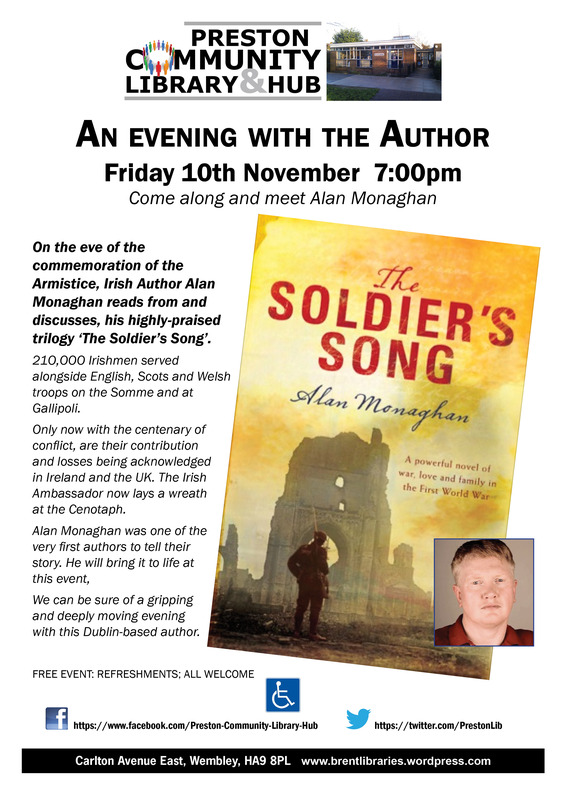 On the eve of the commemoration of the Armistice, Irish Author Alan Monaghan reads from and discusses, his highly-praised trilogy ‘The Soldier’s Song’. Posted on November 9, 2017, in Video. Bookmark the permalink. Comments Off on An evening with the Author 10th November 7.00pm.